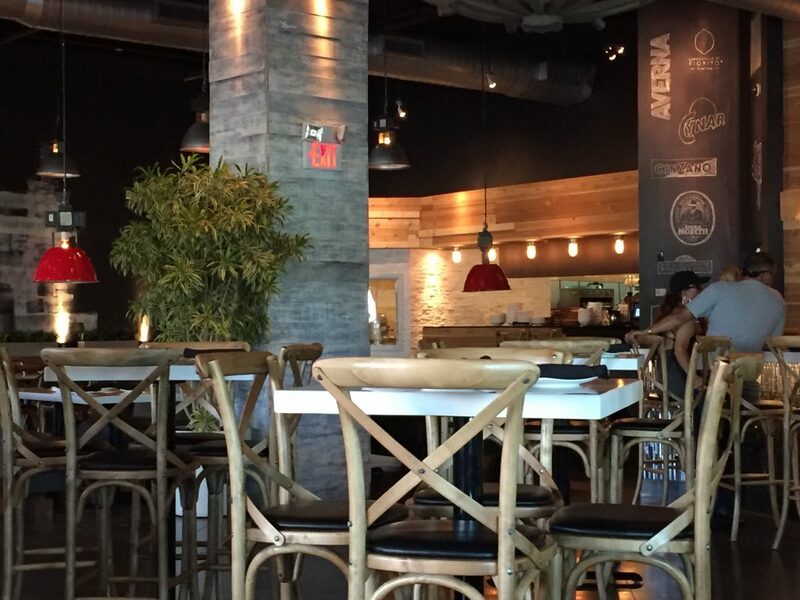 Ciao Cucina just opened up in The Promenade at Coconut Creek towards the western end of the plaza. I stopped trying the new restaurants that opened in this location since it seemed like every time I went toThe Promenade at Coconut Creek there was a new restaurant there. This seems like the doomed spot to lease. Our friends from Tamarac asked to meet us somewhere half way so The Promenade seemed like the perfect location. Once we arrived in the plaza we wandered around for a little bit, checking out what cuisines we had to choose from. We considered Bar Louie but then walked past Ciao. 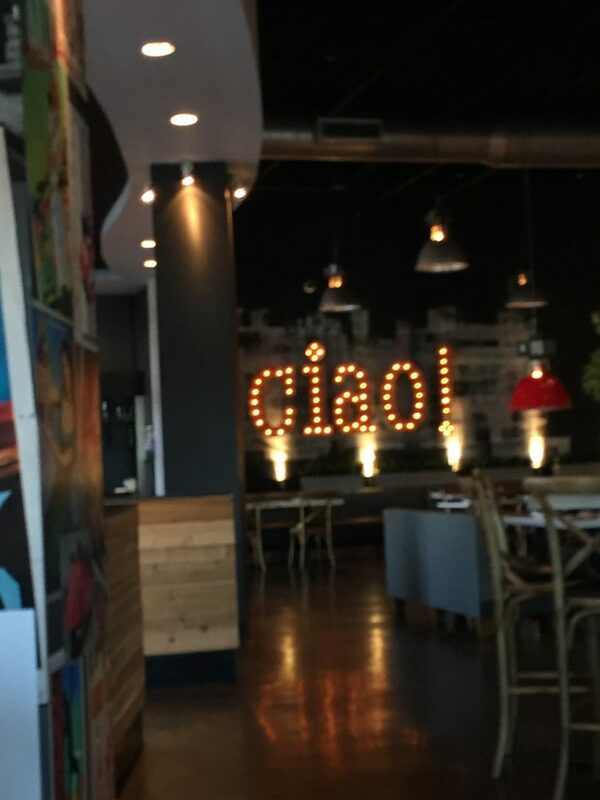 Ciao was enormous inside and had a cool ambiance. When I glanced down at the menu, I realized they had pizza as a food choice. After seeing a pie go by me and placed down on an outdoor table by a server, I decided this would be the place we ate that evening, even though we would be one of the only ones dining here on this Sunday night. Our waiter wasn't too friendly, and oddly enough kind of just gave up on us and handed us off to another server. We were perplexed since we didn't think we were rude to him, or even said more than a few words. This is a prime example of how your servers can ruin an otherwise great dining experience. I ordered the $11 Margherita pizza, which is Neapolitan style and cooked in their oven at 600 degrees. Since the server kind of gave me bad vibes, I wasn't really expecting this pizza to be any good, and before I could even taste it I was thinking how long they will remain open before meeting the fate of the other restaurants that gave it a shot in this space. Once again, all due to the server attitude. When the pizza came out it made my mouth water. This pie looked delicious. The high quality extra virgin olive oil was easy to see over the Fior Di Latte cheese they use. Fior Di Latte is semi-soft, fresh cheese made in the style of Italian mozzarella. I instantly brought the first slice to my mouth and my nose smelled a fresh and delightful aroma. Upon taking my first bite, I knew this pie was a winner. 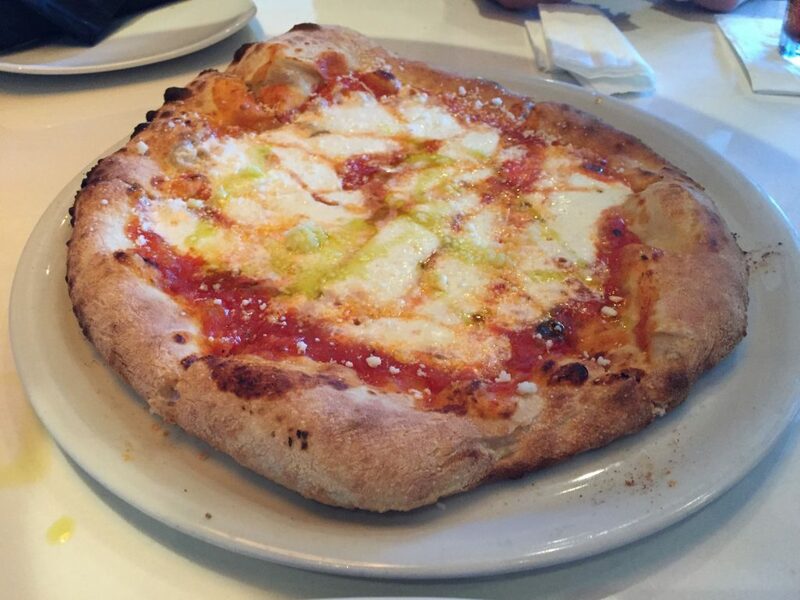 The fruity olive oil sprinkled on top of a sweet tasting, smooth sauce made the pizza delightful. The tasty, airy crust, and cheese were without fault. 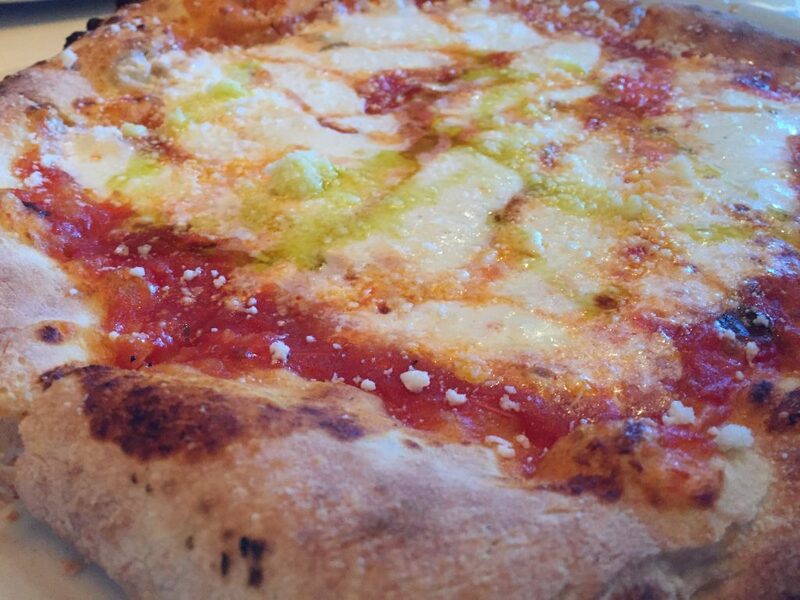 Ciao Cucina in Coconut Creek gets their pizza made right. Let's hope they can survive in this location, otherwise I hope they remove a bunch of items off their menu, and move to a smaller locale where they will only focus on their pizza. If you enjoy a good pie, you should go out of your way to eat here. 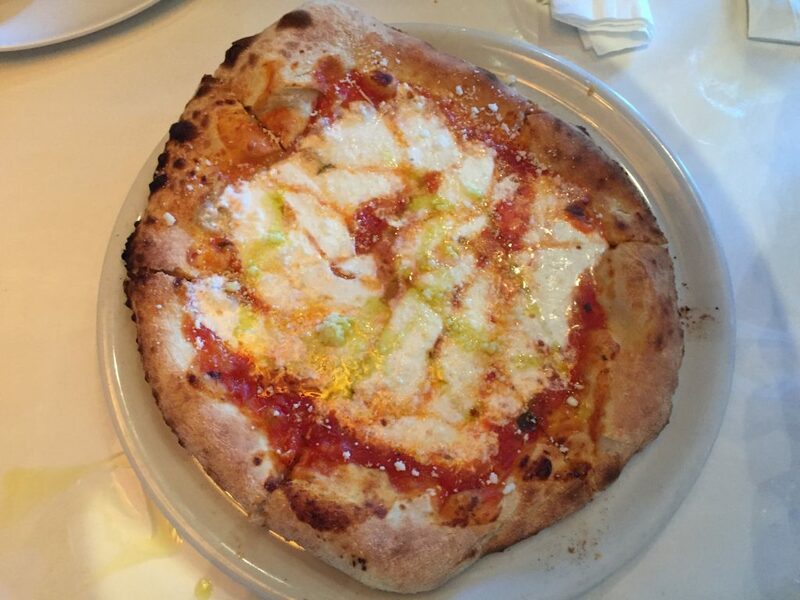 Ciao Cucina & Bar in Coconut Creek gets 7 out of 8 for their pizza.